If you have a chronic obstructive pulmonary disease (COPD) or another lung disease such as asthma, learning how to use a bronchodilator inhaler is important for your health and self-care. You will be given a device (an inhaler) through which to take these medications. Even if it seems straightforward, it's important to take the time to carefully review each of the steps involved in their use. Studies tell us that far too many people do not use their inhalers correctly, and as a consequence, miss out on the improvement in breathing which the inhaler can provide. In fact, many people use their inhalers incorrectly for years before learning the right steps and getting the relief they deserve. Just as taking the time for asking for directions can save time on the road, taking the time to review these steps can spare you many moments of shortness of breath. You will also need to take some time to practice these steps. What looks easy on paper can take a little trial and error. That said, you should be able to use your inhaler correctly – and get the full benefit of the medications – by following these few simple steps. Carefully go through these steps in using your inhaler, taking care to not to skip any steps to "save time." Remove the cap from the inhaler's mouthpiece. Take in a breath and exhale completely. With the canister pointing upward and the mouthpiece aimed at your mouth, put the mouthpiece into your mouth and close your lips around it. Take a fast, deep breath through your mouth, while simultaneously pressing firmly on the bottom of the canister. Rinse your mouth with water after you use the inhaler. 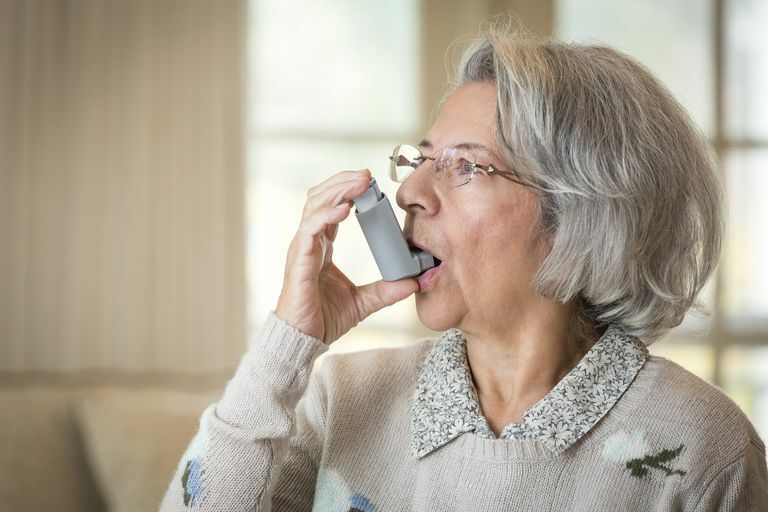 When you're still having trouble breathing even after using your bronchodilator inhaler, you may be tempted to use it again to give yourself a second dose (or third or fourth) of the medication. Despite the temptation, it's important to stick with the dose prescribed by your doctor. If you feel as if your medications need to be adjusted, call your physician. Since inhalers are so commonly prescribed, and often work so well, people often don't recognize how strong these medications actually are. Not strong, as in side effects, but strong as in dilating your airways. In recent years researchers have been trying to determine why the death rate for people with asthma has stayed relatively constant. Some physicians believe that patients don't realize how strong these medications are in the arsenal for breathing and treat themselves too long at home before reaching out for help. If you find yourself wishing you could repeat the dose of your inhaler, don't. But make it a point to call your doctor right away to see what she recommends. Don't skip using your inhaler if you can't afford your prescription. There are several discount prescription programs available, and your doctor may be able to provide you with free samples until you can get these less expensive medications. Ask. Keep this and all medications away from the reach of children. Bronchodilator inhalers can be an important tool that helps you keep your COPD or asthma under control, but you need to learn to use them properly to have the most impact. A few minutes spent going over these steps—and, if necessary, discussing them with your care team—can pay major dividends for your health. Melani, A. Inhalatory Therapy Training: A Priority Challenge for the Physician. Act Bio-Medica. 2017. 78(3):233-45. Melani, A., and D. Paleari. Maintaining Control of Chronic Obstructive Airway Disease: Adherence to Inhaled Therapy and Risks and Benefits of Switching Devices. COPD. 2016. 13(2):241-50.